Often we are faced with the urgency of addressing these two topics, however may not have the deep tools required to make a substantial change. Don’t miss out on this opportunity to hear some of the most incredible perspectives on the most incredible epics such as the Mahabharata & Ramayana from Govinda das, who will take us through these two topics & more. He moved in as a full time monk at ISKCON Chowpatty in 1987 and is currently serving in the capacity of Co-presidents of the temple. You can use this link to pay and book for one person. Grab two places at this Seminar on the link below for ONLY £20! Bargain of the Year! 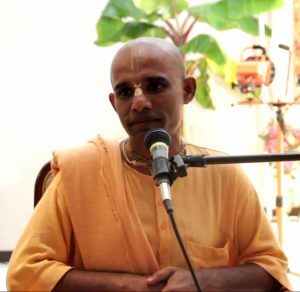 Govinda Prabhu is a senior disciple of H.H.Radhanath Swami, his interest in Krishna Consciousness dawned during his youth days. He moved in as a full time preacher at ISKCON Chowpatty in 1987 and is currently serving in the capacity of Co-presidents of the temple. Along with being the Temple President he was also the leader of the traveling sankirtan party of ISKCON Chowpatty for 5 years. He conducts leadership seminars and istaghosti programs for the devotees regularly. At the same time he is very close to the children of the congregation devotees and is very much loved by them. He is well know for his enlivening seminars on the Mahabharata & Ramayana so this is an extremely rare opportunity not to be missed!